The declining funding rates for early-stage digital health startups is curiously at odds with the burning desire in healthcare enterprises to drive technology-led innovation and accelerate digital transformation. Digital health funding reports from venture capital (VC) firm Rock Health released recently indicate that funding levels in Q1 2019 are down from the previous quarter. At $916 million, U.S. digital health funding in Q1 was half of what it was for the same period in 2018. Considering that 2018 saw $8.1 billion in digital health funding, the annualized funding numbers based on Q1 may fall well short of the blistering growth rates we have seen for the past two years. The numbers, when adjusted for late-stage fundraising by a handful of well-established firms like Health Catalyst and Livongo who have been around for a few years and have raised half a billion or more individually in VC money, may look even less. The sharp decline in funding for digital health startups doesn’t square with the pressing need for technology-led innovation in healthcare enterprises. Healthcare enterprises have been active in the innovation ecosystem for a while. The sense of urgency in tapping into innovation is driven by the accelerating pace of digital transformation and the disruptive potential of the entry of well-funded large, non-traditional players from the tech and non-tech worlds into healthcare. Corporate venture capital (CVC) has been active in digital health, actively investing in promising startups for several years and providing commercialization opportunities for internal innovation. Health systems have been active in the digital health startup world, often through innovation funds and innovation centers that act as conduits for startups to gain access to clinical environments to build out products and platforms with active guidance and participation from clinicians. Health systems are increasingly compelled to adopt “no-regrets” strategies, making strategic bets on innovation and following through to ensure joint success. The recent announcement by Amazon of a handful of HIPAA-compliant services (or “skills”) on Alexa-powered devices and Walgreen’s announcement of a $300 million investment in digital health have raised the stakes in the battle for the healthcare consumer. However, health systems are caught between a rock and a hard place – the need to invest in innovation but the lack of appetite for the risks and costs that come with it. The struggles of the digital health startup world are well-known; long sales cycles, long gestation periods at the pilot stage, lack of scale, lack of financial stability, to name a few. Even with startups that receive venture funding and sponsorship from innovation groups, it is an uncertain path to enterprise adoption. To complicate matters, many digital health startups fail to invest adequately in compliance, data privacy, and security in their thirst for growth, increasing the risks even further for health systems that utilize the tools. However, health systems need innovation. While much has been written about the need for improved governance in innovation management, there are a few additional strategies available to healthcare enterprises to harness innovation without undertaking unnecessary risks and costs (and without letting innovation fail from lack of support). Large healthcare enterprises have no desire to contract with large numbers of small startups – the risks and administrative overheads far outweigh the benefits. Consolidation among startups with related offerings can provide a way out of this conundrum by making available a bundle of solutions/ services under a single contracting framework. Consolidation in the startup world has been growing steadily – in Q1 2019, 13 digital health startups were acquired by other digital health startups. In fact, consolidation may become necessary for many startups to survive and have a shot at success. Recognizing this need, at least one startup has set itself up as an aggregator and a “curator” of startups, offering a range of solutions in a hub-and spoke model and operating as a one-stop-shop for contracting and billing with a number of startups. While this approach does not fundamentally alter the risks, it potentially mitigates the administrative costs of dealing with multiple startups. Big tech firms such as Microsoft, Google, and Salesforce are investing heavily in their digital platforms. However, the platforms lack the “last-mile” solutions that health systems need for transforming their patient and caregiver experiences. Some of these tech firms have been growing their ecosystem of partnerships by encouraging startups to build on their platforms, and often “certifying” such partners to provide assurance to healthcare enterprises looking to tap into the innovation. Electronic Health Record (EHR) vendor Epic’s App Orchard store does exactly that, providing a degree of assurance for the numerous solutions offered on the store, acting as a perceived risk-mitigator by health systems. However, this approach comes with the caveat that health systems either already have or will need to make a strategic commitment to one or more of the major tech platforms to tap into the innovation. Most digital health solutions today do not fall in a traditional fee-for-service reimbursement model (although that is changing slowly). 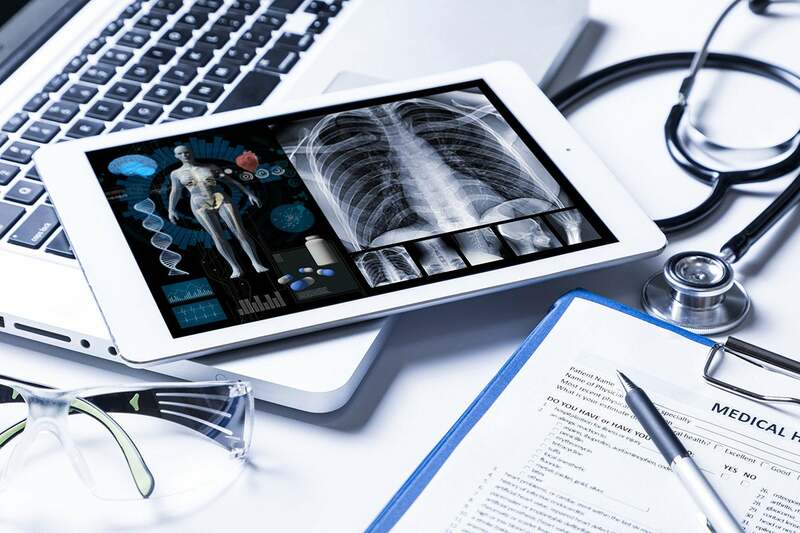 Even well-developed platforms for virtual care models such telehealth have seen low growth in adoption, partly due to the lack of a reimbursement framework. A way out of this for healthcare enterprises is to selectively enter into risk-sharing agreements with digital health startups, and gradually ease into a conventional payment model as required. However, risk-sharing models are not only hard to implement but may also result in the health system giving away more of the gains from the deployment of the technology that they may be comfortable with. Digital health innovation is at a crossroads today. There has never been a greater need for the innovation that digital health startups bring to healthcare. At the same time, the funding, contracting, and commercialization of innovation from these startups is constrained by the lack of appetite for the risks, the lack of a reimbursement model for many solutions, and the administrative overheads involved in managing multiple vendor relationships. Health systems are looking for a way out of this conundrum. By following the strategies outlined here, they may be able to tap into the much-need innovation for powering their way into the future of healthcare.